Stereophonics have "hot girls with cellos" on their rider for London's Royal Albert Hall. The Welsh rockers have been announced as one of six headline acts for a series of shows at the iconic venue to benefit the Teenage Cancer Trust in March, and are looking forward to the performance because of the attractive musicians they will be joined by on stage. 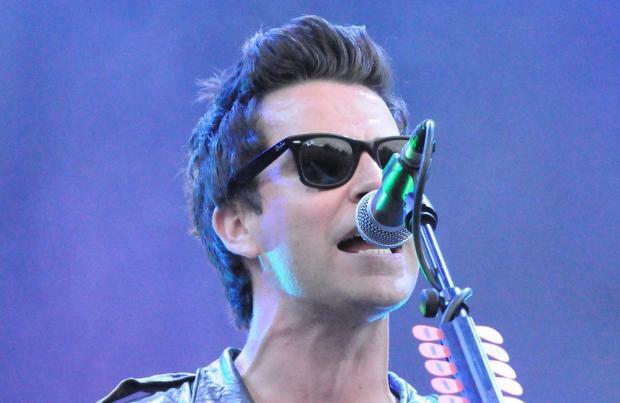 Speaking to Absolute Radio Breakfast Show host Christian O'Connell, frontman Kelly Jones said: "We're still trying to work out how we're going to do the gig. I think we're gonna get some people to do the 'Graffiti on the Train' - bring out some hot looking girls with some cellos. The hot girls with the cellos are only on our rider when we play the Albert Hall. You can't play cellos in sweaty clubs and pubs or big venues like Wembley." As well as performing for the fundraiser on March 23, the 40-year-old star confirmed the band - which also features Richard Jones, Adam Zindani and Jamie Morrison - will release a new album this year to follow-up the success of 2013's 'Graffiti on the Train'. He said: "We're bouncing ideas back and forth at the moment but we're definitely going to be playing a few shows in the UK over the summer, showcasing a few new songs. "We're very happy with the album so far. We made a lot of tracks on the last record so we've used some of them and some others. We're looking at the album to be released sort of September, October time, but will be releasing some songs around May first." The 2015 series of Teenage Cancer Trust shows will see performances from Noel Gallagher, Paul Weller, and The Who - who all performed at the first of the shows 15 years ago - with 'Brown Eyed Girl' hitmaker Van Morrison and comedian Kevin Bridges also gracing the stage. Tickets to the performances go on sale at 9am on Friday January 30. Absolute Radio is the official radio partner for Teenage Cancer Trust at the Royal Albert Hall and will be broadcasting highlights from the 15th Anniversary shows.